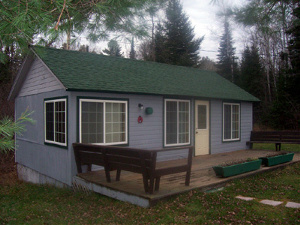 This large 3 bedroom cabin is perched at the highest point on the Lady Bug Lodge grounds. A creek passes in front of the sunroom and it has lake views and a deck. Hiking trails begin 75 feet from the back door. 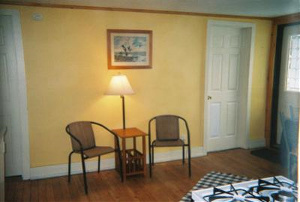 Features include: Large bathroom and high capacity water heater, hot air furnace. 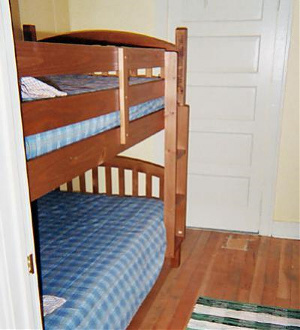 Two double beds, and a set of bunk beds. 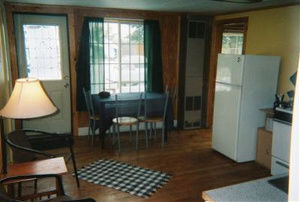 The large living area has a futon. 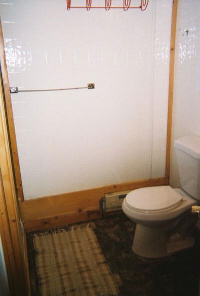 The cabin has restored wood floors and carpeting. Enjoy your own 18' pontoon boat. 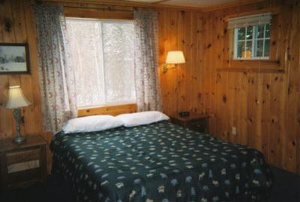 Sleeps 6-7. 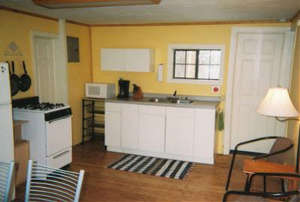 Includes a four burner range and oven, microwave, coffee maker, toaster, cooking and eating utensils, kitchen cloths, and soap. 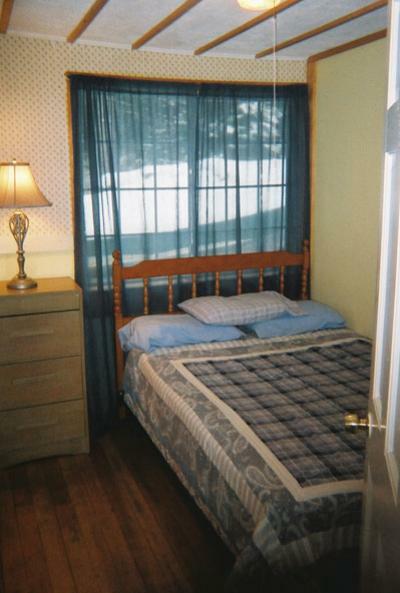 Beds include linens. Also outdoor gas grill and fire ring with complimentary fire wood. 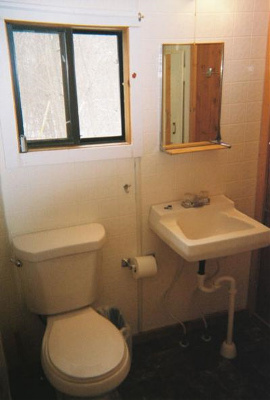 Each cabin rental includes your own private pontoon boat.